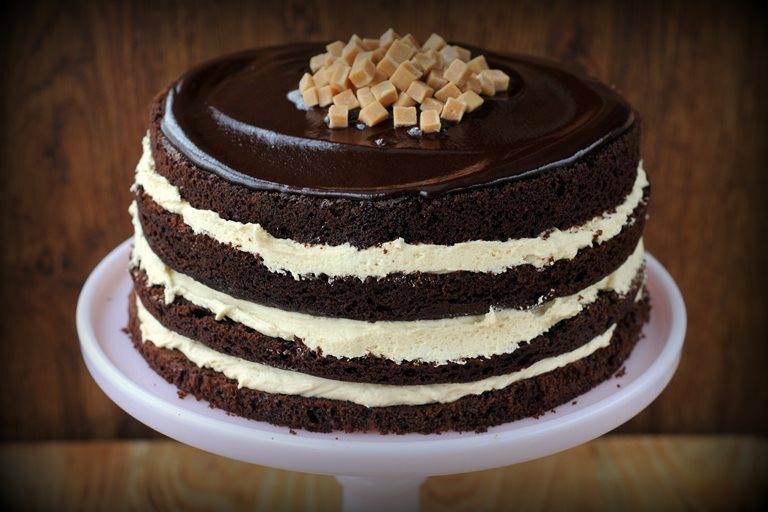 Everyone loves a chocolate cake, but this cake has a special twist as it is filled with a salted caramel buttercream filling and topped with a chocolate fudge sauce. Ren shows how this homemade family recipe has been brought bang up to date. 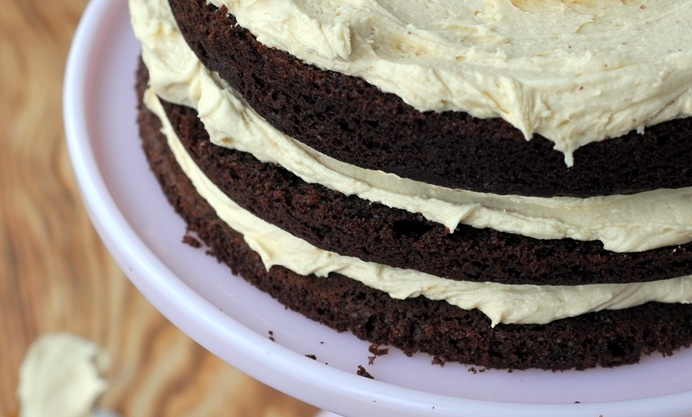 This is the ‘Big Daddy’ of all cakes; towering far higher than anything I’ve ever made before. I came across the ‘Bonne Maman Confiture de Caramel’ in the supermarket whilst looking for a caramel sauce or a ‘Dulce du Leche’ sauce and I have to say, I’m addicted! 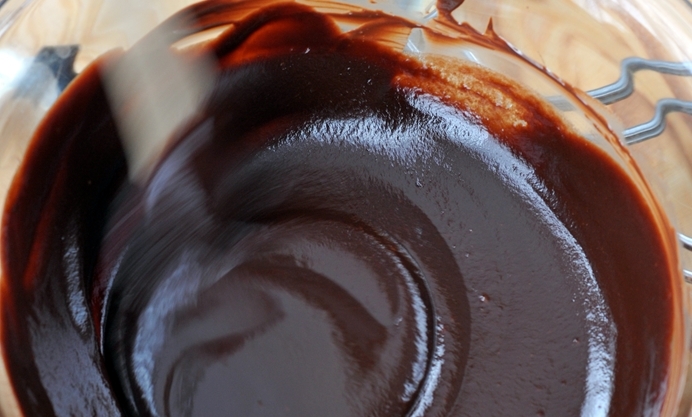 It’s like liquid gold in a jar, soft, glossy and very versatile. If you can’t find it, any caramel sauce in a jar will work fine. Make sure you also use good quality sea salt, too – not table salt! I didn’t spread the chocolate fudge topping all around the edge of the cake as I thought it looked nicer to see what’s inside and as a home cook; I didn’t want the extra pressure of making it look perfect. I had a little helper in the kitchen, helping me mix and stir and of course, lick the bowl and I have to say, this cake was a real pleasure to bake. I adapted this recipe from a simple tray-bake recipe handed down to me by my mum; so in many ways, this is an old recipe brought up to date with a few modern twists.